Straddling a majestic mountain range in East-Central Europe, the Trans-Carpathian is a lonely, intriguing and beautiful Ukrainian Province; undiscovered by most. Previously part of what is now modern day Hungary, the Trans-Carpathian was invaded by Soviet Ukraine in 1946, yet retaining a strong presence of Hungarian culture throughout the region. Quaint villages, unassuming towns, natural beauty and friendly locals make up for the identity of the Trans-Carpathian but in terms of travel experiences, a visit to this stunning part of the Ukraine makes for the perfect escape and can often act as a refresh button for what is an increasingly busy life for most people. In the same way that life is just as much about taking part in the journey as is the destination, surely the purpose of travel is not just to see any particular destination but rather, it’s about the journey, the mind process and new experiences that leave an imprint on our souls. The Trans-Carpathian calls for visitors who want something different. Unexplored, less visited and teeming with natural beauty, the absence of hotels or hostels on every corner fails to represent the obvious attractions in the region and serves only to offer a more personal experience for those who decide to dive in and take a look for themselves. That being said, this is not a “no man’s land” entirely and you will still find great bars and restaurants throughout. Traditional towns such as Uzhhorod and Mukachevo are perfect to uncover the best locally produced wines and delightful dishes, while the K2 club near Beregova (Beregszász) brings the European party scene to town. And then there is the great outdoors, you can go swimming or enjoy a spot of fishing at Chorna Hora Lake in the summer season and the National Park located in the Carpathian Mountains is the quintessential playground for hikers and nature lovers. When to visit the Trans Carpathian? Although the temperature drops considerably in the winter months, this is naturally the best time to visit the Trans-Carpathian for anyone interested in skiing. For those interested in other outdoor activities, the shoulder months and summer itself are perfect to experience everything the region has to offer. There are three main cities which dominate the Trans Carpathian region; Uzhorod, Mukachevo and Khust. Located in Western Ukraine, in the center of ‘Zakarpatska’ (Trans-Carpathia as known to the locals), Uzhorod offers many points of interest scattered around this city. The beautiful city is also central hub for the regional railways system which depart for local provinces as well as neighboring Hungary and Slovenia. Although, this is not the only means of convenient travel, for both taxi and local buses are very reliable and offer very affordable rates. Uzhhorod and Nevitsky Castles are two obvious landmarks of medieval history in the city, the Greek Catholic Cathedral and the oldest building in the city, Goranska Rotonda, are all attractions worth visiting while the Museum of Art (Trans-Carpathian Bokshai) offers another side to the city which is often missed. And then there is the amazing food and drink in Uzhorod, Bogrács and hospodar are traditional dishes which are best enjoyed in a local family run café , while the numerous wine cellars scattered around the city are worthy of a night tour any day of the week. Antiquated, charming and with interesting places to see in between, Uzhorod is a delightful city to explore the old world right next to cheerful bars and delightful restaurants, while it also offers the perfect place from which to explore the surrounding nature of the Trans-Carpathian. An ancient city located in the heart of beautiful Zakarpattia, Mukachevo is akin to a European fairy tale city, surrounded by majestic mountains and renowned for being one of the most beautiful parts of the Ukraine. Iconic and atmospheric, Palanok Castle lies at the heart of Mukachevo which was first established in the 10th century. Symbolic of the civilization at its feet, the citadel is still the focal point and was initially built on a hill in Mukachevo to protect against any potential invaders. Walking beneath further examples of the past is the best way to witness how this city has changed with each era, from Baroque to Renaissance, and Medieval. Most of the architecture is actually from the time of Austrian and Hungarian rule, such as the famous “White House”, the Rákóczi-Schönborn Palace, which is a remnant of the Renaissance period, while the colorful facades of Saint Nicholas Monastery are further evidence of the 11th Century and medieval times. Mukachevo is also culturally relevant which is evidenced in the art gallery, drama theatres and many folk groups which perform throughout the city. If you are interested in food or wine festivals this can also be an impressive place to visit, for the “Chervene vino”, a homemade wine festival, takes place here in January of each year. Steeped in history and an important industrial centre, Mukachevo is one of the most popular cities to visit in Ukraine and worthy of a weekend escape. 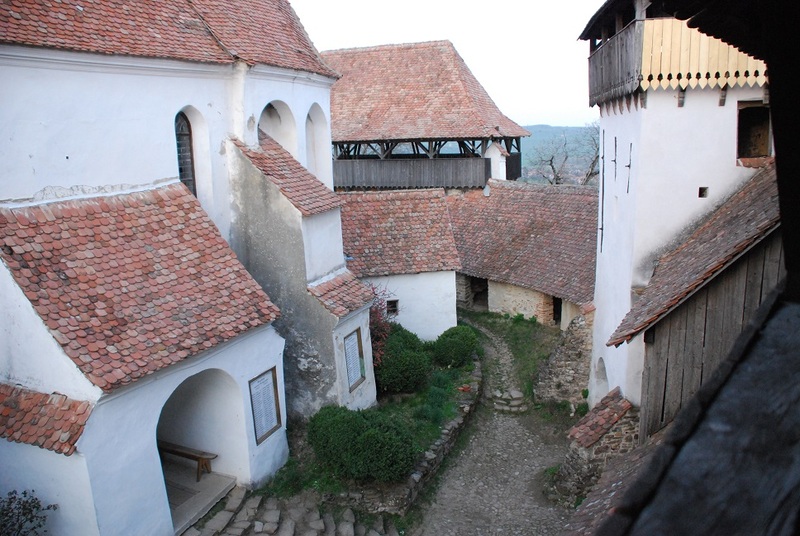 Khust is located in Western Ukraine, the 3rd largest city in the county and once more, surrounded by the Carpathian Mountains. Although this city is relatively small in comparison with those above, you can visit this entire city in just one hour, a visit is worth your while. 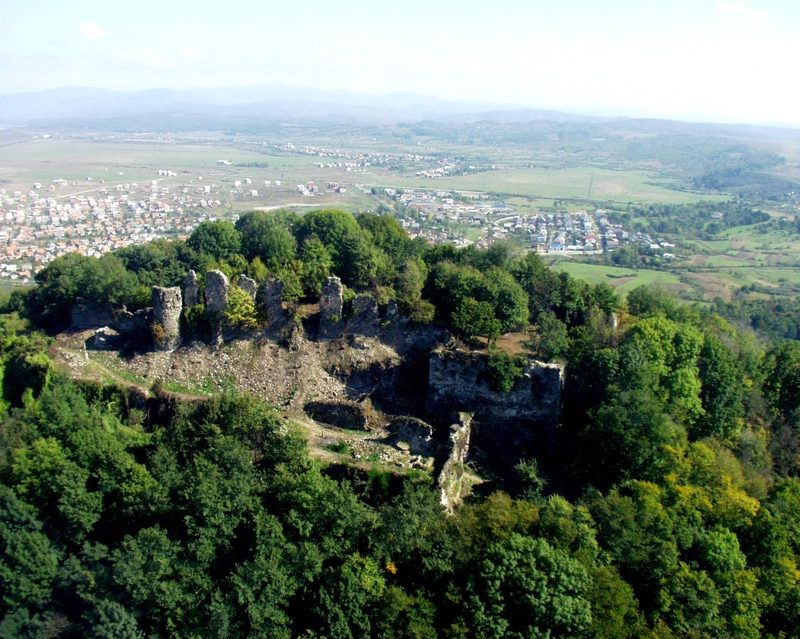 Haunting and abandoned, the Ruined Castle is a great insight into the local history of Khust and can be found in the upper part of Castle Hill. Dating back to the 11th century, until the invasion of Tartar in 1241, this enchanting ruin is a famous destination for tourists, and offers unrivalled views across the city. You can also visit Elizabeth’s Church which is located in the middle of the city and was constructed in the 13th century. Still displaying the original fresco of the 13th century, it makes for an impressive sight and the imposing wall with city gates is likely to make you feel as though you have stepped back to a much more primitive time. 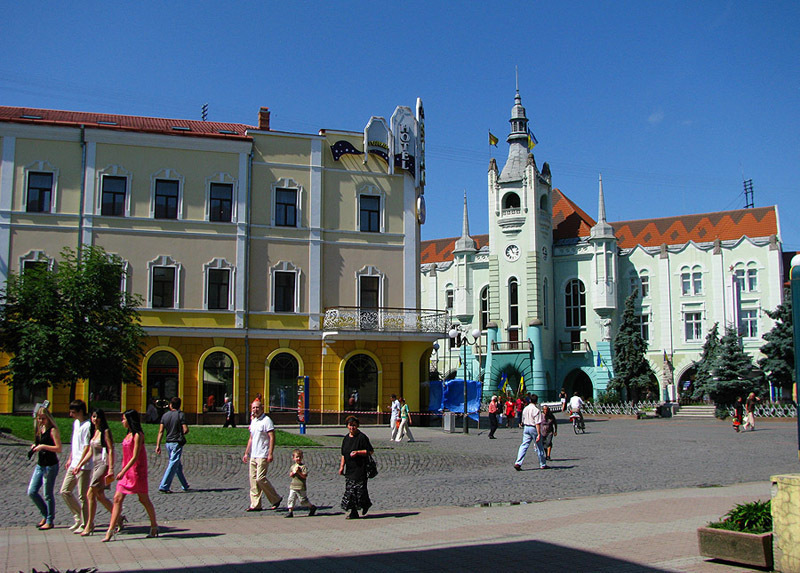 As with most of the Ukraine, prices are relatively low in Khust when it comes to transport, local meals, drinks and attractions but the real value of a visit to this particular city is in how it offers a much more local or personal feel to the visitor, which can sometimes be lost in larger or more industrialized cities. A notable mention, Beregova is the "Hungarian capital" of Ukraine. Ancient and famous for its thermal pools, the likes only found in New Zealand, visitors will also view architecture of glorious days past. Although the Trans Carpathian region is not necessarily set up for tourism, there are still a range of fantastic (some luxurious) places to stay in the region and the primitive nature of the area is also largely the true appeal. Steeped in history and overflowing with historic attractions, the cities are ideal for first time visitors wishing to get acquainted with Ukraine, while still offering easy access to some of the most beautiful and stunning landscapes you will find anywhere in the world. Then again, travel is not really about seeing any one particular destination but rather about new experiences of a journey, and that, is something the Trans Carpathian region offers in abundance. The PREMIER Hotel Star in Mukacheve is a Landmark property, the former property of the von Schoenbron Family.